I will share with you my beautiful experience with Erasmus for entrepreneur program during the last three weeks. When I arrived to Lecce (In the south of Italy), I was welcomed by the HE and his team. They are very nice people, I didn’t feel any obstacle to integrate with them. During first week (13th – 17th) of my EYE program, I had performed several parallels tasks. First, I installed and configurated the Virtual Reality Technologies (Leap Motion, Oculus Touch…Etc.). 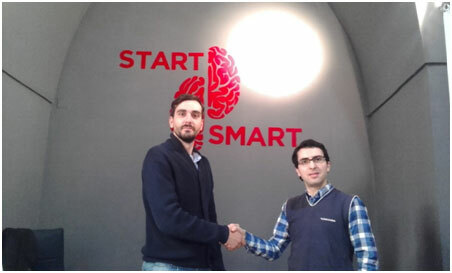 In parallel, I discussed with Mr. Cristiano Maci, The HE, about the most important thing to success on my first entrepreneurial experience: It’s to spread my customer’s network and let them know my potential on VR development. Also, what I can provide for him as VR Experience solution. 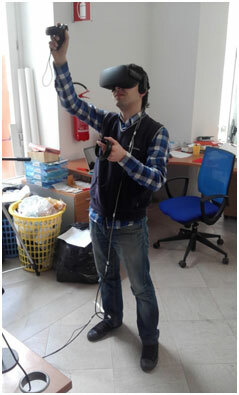 Thus, I developed a first VR Demo mainly to show to my customers what I can perform for them. 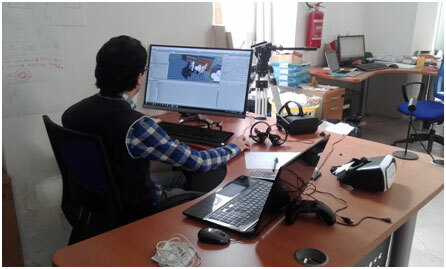 FIAT: They want to create an Ergonomic training VR Application. But firstly, they want a customize Demo mainly to see what is our capability. If they will appreciate the personalize demo they can accept the deal. They gave to me the required files (Fiat Engine 3d models, several parts…Etc.). I have Two weeks to perform that demo. MAZZANTI: They want to simulate a rotating platform for EVANTRA car using VR application, they want also control the automatic door using virtual remote control. Till today (3/27/17), I wait for their reply and confirmation. Architects: They want to create an immersive environment for their building.